This stunning locket is 925 sterling silver with gold plating. The front is surrounded with dazzling cubic zirconia's and the reverse features Virtue London branding. This elegant medium size locket can be worn either as a necklace or bracelet. With a number of endless combinations available this 23mm locket holds up to 3 discs. 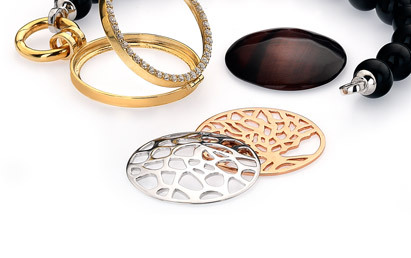 The locket also comes with 2 silicon rings to firmly hold a single disc. Available in 32mm.